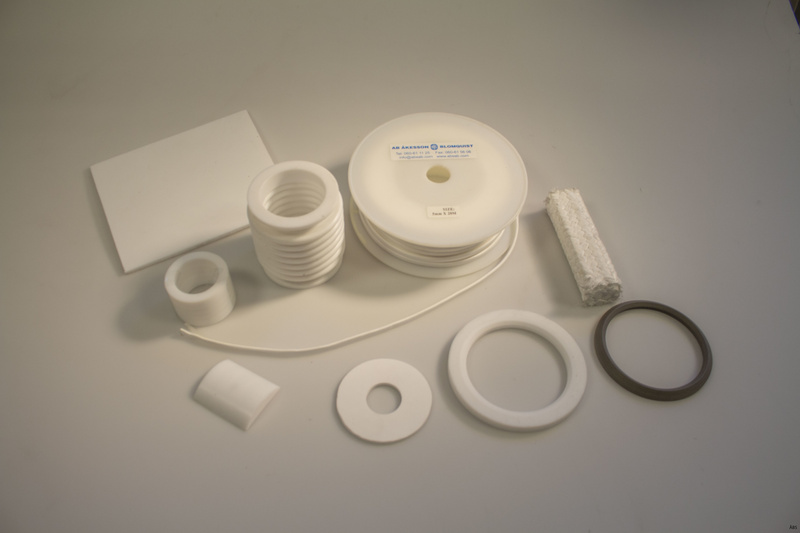 PTFE has high thermal resistance and can be used in a wide temperature range from -200 ° C up to + 275 ° C.
PTFE resistance to chemical attack is excellent in all respects. This property is maintained throughout the temperature range where the material can be used and applies virtually no matter what medium it is exposed to. Only molten alkali metals and fluorine in gaseous form at high temperatures and high pressure react with PTFE. 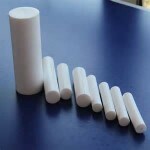 FOLIE in rolls with 900 mm width, thickness 0.25 - 3 mm. PLATES size 1200 x 1200 mm, thickness 4 - 10 mm. FILM self-adhesive, in rolls of 600 mm width, thickness 0.1 mm. SNOW for small valves and flanges, diameter 2, 3, 4, 5 and 6 mm. ROD diameter 3 - 100 mm. Most products are also glass fiber reinforced or with other filling materials, such as carbon, bronze or similar. Used in the chemical industry, mechanical engineering, electronics industry, packaging industry and many more with excellent results. We can supply PTFE details after drawing. We can also join and develop new technical solutions and handle the production from starting material to finished detail. With us as a supplier, you only need a place of purchase when it comes to PTFE products. contact us and request a special prospect.